Williams (foot) is facing a suspension for the first three weeks of the 2019 season, Field Yates of ESPN reports. 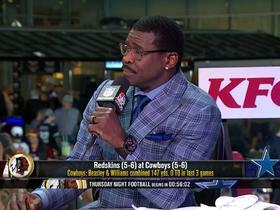 According to The Dallas Morning News, Williams' ban stems from a violation of the NFL's substance-abuse policy. The Cowboys placed Williams (foot) on injured reserve Saturday, Kate Hairopoulos of The Dallas Morning News reports. Analysis: Williams' sixth season in Dallas will come to a premature end after he just missed the first game of his career. He was considered a healthy inactive in last week's game against the Lions, but it was later learned he sat out for personal reasons as well as complications from a surgically repaired right foot. The 29-year-old will now set his sights on a 2019 return. He caught just two balls for 18 yards in three games this season. 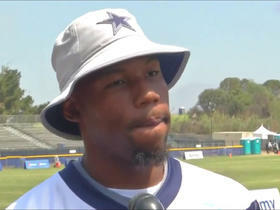 Williams (foot) is listed as out for Sunday's game versus the Texans, Jon Machota of The Dallas Morning News reports. Analysis: This will be the second straight game Williams misses. He's been rarely used on offense, bringing in two of three targets for 18 yards over three games. His absence won't be felt in the fantasy realm. Williams (foot) was absent from practice Thursday, Jon Machota of The Dallas Morning News reports. Analysis: Williams was given the day off Wednesday for unspecified off-the-field issues, but complications from offseason surgery on his right foot were cited as the impetus for Thursday's DNP. Through four games, he's missed one game and averaged 13 offensive snaps in the others. With that knowledge, there's no telling when he next will be available to the Cowboys offense. Williams was present at the Cowboys' facility Thursday but won't participate in practice, Kate Hairopoulos of The Dallas Morning News reports. In addition to his off-field issues, Williams may be dealing with complications from offseason foot surgery, Kate Hairopoulos of The Dallas Morning News reports. Analysis: Dallas hasn't been listing Williams on the injury report, instead referring to him as a healthy scratch for Sunday's 26-24 win over the Lions. Whatever the case, Williams didn't practice Wednesday and seems to be in some danger of eventually losing his roster spot. He's yet to reach 20 snaps in a game this season. Cowboys coach Jason Garrett said that while Williams has reported back to the team, he's unsure if the wideout will participate in Wednesday's practice, Brandon George of The Dallas Morning News reports. Williams will rejoin the Cowboys for practice Tuesday, Rob Phillips of DallasCowboys.com reports. Analysis: While his DNP in Week 4 was initially listed as a coach's decision, Williams actually left the team last Friday for personal reasons and as a result missed the first game of his career. His return isn't likely to move the needle on the Cowboys' passing game, however, given that he'd only seen three targets through the first three games of 2018. Williams (coach's decision) is inactive for Sunday's game versus the Lions, Todd Archer of ESPN.com reports. Analysis: The Cowboys offense has been in a funk outside of Ezekiel Elliott, but Williams' production (two catches for 18 yards on three targets) and usage (just 39 offensive snaps in three games) are lacking for a player with an intimate knowledge of the scheme. Williams will miss the first game of his five-plus year career, yielding deep looks to the recently-signed Brice Butler. Williams won't play Sunday against the Lions and is expected to be a healthy inactive, team sources informed Jane Slater of NFL Network. 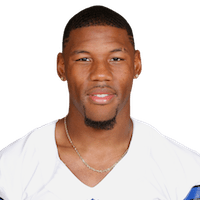 Analysis: Williams has plummeted down the depth chart during his sixth season in Dallas, logging fewer than 20 offensive snaps in each of the Cowboys' three games while contributing only two receptions for 18 yards. With the 29-year-old not giving the Cowboys the downfield threat the passing attack desperately needs, it appears Brice Butler, who re-signed with the club Sept. 18, could suit up Sunday and get some snaps on offense. Cowboys owner Jerry Jones said the team is leaning toward activating Brice Butler over Williams for Sunday's game against the Lions, Jon Machota of The Dallas Morning News reports. Analysis: Williams missed Friday's practice for an unspecified non-injury reason. It may have to do with the suspension he's reported to be facing, but we don't have any confirmation just yet. In any case, Williams has drawn three targets on just 38 snaps through the first three weeks of the season, all but disappearing from the Dallas offense. 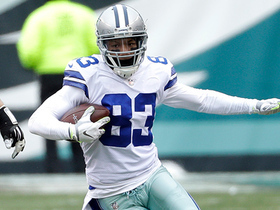 Williams is facing a suspension stemming from a May arrest, David Moore of the Dallas Morning News reports. Williams caught his lone target for 12 yards during Sunday's 20-13 win over the Giants. 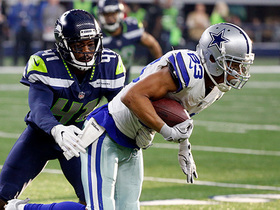 Analysis: Despite a dearth of reliable targets in Dallas, Williams finds himself near the bottom of the barrel with just one catch in each of the team's first two contests. There was a time in which Williams was a field-stretching complementary piece to the Cowboys offense. Those days seem long ago. Williams got the start in Saturday's preseason game against Cincinnati, hauling in both of his targets for 16 yards and a touchdown. 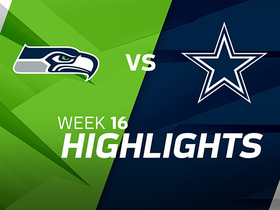 Analysis: Allen Hurns was the other starting wideout, but Michael Gallup also caught a pair of passes from Dak Prescott, who turned a broken play into a six-yard touchdown pass to Williams. There wasn't much competition for snaps early in Saturday's game, as Cole Beasley (groin), Tavon Austin (hamstring) and Deonte Thompson were all held out. Williams likely will retain his starting job heading into Week 1, but he'll eventually lose snaps and targets if he doesn't improve upon his 2017 performance. Williams (foot) caught both his targets for 13 yards during Thursday's preseason opener against the 49ers. Williams (foot) is practicing through pain during training camp and hopes to manage the issue as the regular season approaches, Kate Hairopoulos of the Dallas Morning News reports. Analysis: Williams has been limited since the start of training camp as he comes back from offseason surgery on a broken fifth metatarsal in his right foot. He's been able to practice through the pain up to this point, but he could benefit from additional limitations in order to avoid any lingering issues when Week 1 rolls around. With Dez Bryant out of the picture in Dallas, Williams is slated to start on the outside at receiver across from Allen Hurns. Williams (foot) won't face any additional charges stemming from his arrest in May, ESPN reports. Williams (foot) worked with the first-team offense during Tuesday's walkthrough, David Helman of the Cowboys' official site reports. Analysis: Williams' recovery from a broken fifth metatarsal in his right foot extended into training camp, limiting his reps to date. Working with the first team for the first time in any capacity, he seems to be closing in on team drills in an actual practice. 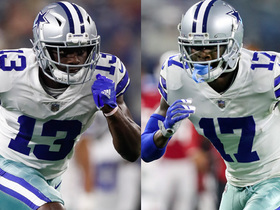 Until that happens, though, Allen Hurns, Cole Beasley, Michael Gallup, Tavon Austin and Deonte Thompson serve as the top wide receivers at Dak Prescott's disposal. Williams (foot) was limited at practice Thursday, Rob Phillips of the Cowboys' official site reports. Coach Jason Garrett said Monday that he's "hopeful" Williams (foot) will be available for the start of Cowboys training camp Thursday, David Helman of the team's official site reports. Analysis: Williams required offseason surgery to repair the fifth metatarsal in his right foot, limiting him to work on a side field during OTAs and mandatory minicamp. At the conclusion of the latter, Garrett expressed some confidence in Williams being ready for training camp, but there remains some murkiness surrounding the health of the wideout. Even if Williams isn't 100 percent come Thursday, Garrett's comments indicate he should be a full go before long. Cowboys head coach Jason Garrett relayed Thursday that he anticipates Williams (foot) will be ready to practice when training camp opens in late July, Kate Hairopoulos of The Dallas Morning News reports. Williams (foot) did some running on the side during Tuesday's minicamp session, Todd Archer of ESPN reports. Analysis: The Cowboys still expect Williams to be healthy by training camp, but he's unlikely to see much action before that as he recovers from foot surgery. The 28-year-old could also face league discipline following his arrest for public intoxication last month, putting question marks on his availability for Week 1. Williams (foot) didn't participate in Wednesday's OTAs, DallasCowboys.com reports. Williams (foot) was arrested and jailed early Saturday morning for public intoxication after hitting a light pole and leaving the scene of an accident, Clarence Hill of the Fort Worth Star-Telegram reports. Williams is bouncing back from a broken foot that required surgery, Todd Archer of ESPN.com reports. Williams is dealing with an unspecified injury that will force the wideout to miss some time this offseason, Clarence E. Hill Jr. of the Fort Worth Star-Telegram reports. Analysis: The precise nature of Williams' offseason injury has yet to be disclosed, nor is it clear if the issue required surgery. It is, however, a variable that possibly contributed to the team's recent wideout signings -- Allen Hurns and Deonte Thompson -- a pair of free-agent moves that bolstered Dallas' depth chart behind current top option Dez Bryant. The signing of Allen Hurns threatens Williams' standing with the Dallas wideout group, David Moore of The Dallas Morning News reports. Williams finished the regular season with 53 catches on 78 targets for 568 yards and added two rushes for 15 yards. Williams snatched three of five targets for 19 yards during Sunday's 20-17 win over Oakland. Analysis: Williams was held for three or fewer catches for 25 or fewer yards for the third consecutive week. The big-bodied receiver has never quite found a groove this season, with just three games with 50 or more yards and no touchdowns. It's more likely that things get worse than better. The return of Ezekiel Elliott should facilitate a more smash-mouth style of offense for Dallas, in turn docking the passing game. Williams caught three of six targets for 25 yards in Sunday's win over the Giants. Analysis: He's still looking for his first touchdown of the season, and Williams hasn't topped 54 yards or four catches in any of the last five games. He's still locked in as the Cowboys' No. 2 receiver, but that role affords little fantasy value in the team's low-volume passing attack. Williams caught two of three targets for 21 yards during Thursday's 38-14 victory over the Redskins. Williams caught four of five targets for 54 yards in Thursday's 28-6 loss to the Chargers. 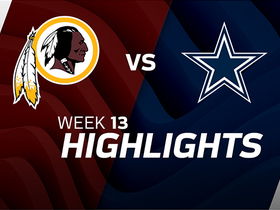 Analysis: Aside from a 38-yard grab in the fourth quarter when the Cowboys were trying to mount a desperate comeback, Williams and the entire passing game were ineffective on the day. 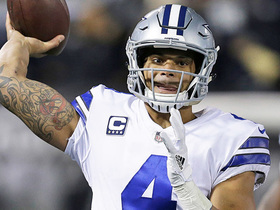 It still resulted in his third best yardage total of the season, which speaks to how risky a fantasy play the 27-year-old is right now, especially with Dak Prescott having the worst stretch of his career. 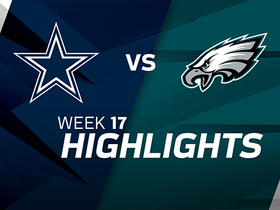 Williams caught four of seven targets for 35 yards in Sunday's loss to the Eagles. 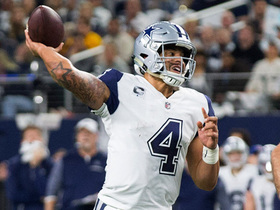 Analysis: Dak Prescott was busy having his worst game as a pro, but Williams didn't exactly do much to help out his QB. The seven targets were actually his second highest total of the season, and look for the fifth-year wideout to post similarly modest numbers Thursday against the Chargers. Williams caught one of four targets for nine yards in Sunday's loss to the Falcons. Analysis: The absences of Ezekiel Elliott (suspension) and particularly Tyron Smith (groin) had a major impact on the rest of the offense, and Dak Prescott rarely had time in the pocket to let routes develop for downfield receivers like Williams. Next week's matchup against the Eagles could be more of the same if Smith isn't back at left tackle, but if the Dallas offensive line is able to keep the Philly pass rush at bay, Williams may be able to exploit its weak secondary. Williams (ankle) wasn't listed on the Cowboys' injury report Wednesday. Cowboys head coach Jason Garrett said that he expects Williams, who tweaked an ankle late in Sunday's win over the Chiefs, to practice in some capacity Wednesday, Rob Phillips of the Cowboys' official site reports. Williams caught all nine of his targets for 141 yards in Sunday's 28-17 win over the Chiefs.